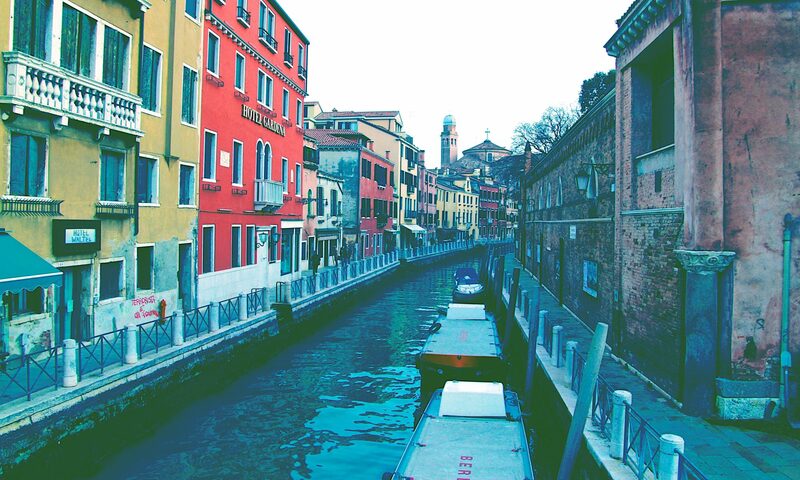 Sometime water covers the city of Venice, creating the famous phenomenon called “Acqua Alta” or “high water”. During Acqua Alta episodes, water floods the city covering streets and making it difficult to walk around. Acqua Alta is due to a complex set of causes, among which high tide and low atmospheric pressure and it is more frequent during autumn and spring. The intensity of Acqua Alta may vary according to the intensity of the causes, but it is usually around 1 meter. However, everyone remembers the great Acqua Alta which happen in 1966, when the tide reached 2 meters. Recently, a very discusses system of mobile dams has been put in place to limit the negative consequences of Acqua Alta. When Acqua Alta happens, you shall be prepared to deal with it. Acqua Alta is not affecting every Area of the city, some are excluded such as Piazzale Roma, while others near the lagoon or canals may be heavily affected. Considerable high tides are preceded by a siren, announcing the peak of the tide in three to four hours. To be prepared, check the forecasts and take with you rubber boots. Some hotels inside the city provide them, feel free to ask them before. All over the city, elevated wooden walkways are provided in areas affected by Acqua Alta. Acqua Alta may be a moment to enjoy a different aspect a Venice, take it positively, but remember that it may be a nuisance for venetians, so don’t bother them playing on walkways. What do you think of Acqua Alta? Share with us your wonderful pics during Acqua Alta!